The Learn. Work. Give. program at Hohman Homes allows for our Team to complete the third and forth ideal of our Mission Statement, taking care of our community and the environment. Find out more information on all of the organizations and groups our Team is supporting every quarter to accomplish our mission. Hohman Homes is proud to support and encourage the study of the construction trades through the M. E. Rinker, Sr. School of Construction Management at the University of Florida in the first quarter of 2017. Hohman Homes is happy to support the efforts of the New Leaders Council of Tampa Bay, the leading training organization aimed at the progressive, Millennial generation in the second quarter of 2017. Hohman Homes supports the Knights of Columbus Mother Seton Council #6724 and the Diocese of St. Petersburg where aid is offered to the sick, disabled, and needy members of their communities. Hohman Homes is proud to support Johns Hopkins All Children's Hospital Guild in St. Petersburg, Fla. for nursing excellence and the purchase of a transport vehicle for children in the second quarter of 2017. 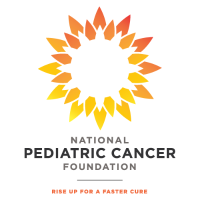 Hohman Homes is proud to support the National Pediatric Cancer Foundation, a nonprofit dedicated to funding research for the elimination of childhood cancer in the third quarter of 2017. Hohman Homes is honored to provide support for the Realtor Care Foundation , a nonprofit dedicated to providing housing assistance to first time homebuyers in the Tampa Bay area in the second quarter of 2017. Hohman Homes wanted to do its part in supporting the relief and rebuilding efforts in Texas after the devastating effects of Hurricane Harvey by giving to the American Red Cross. Thank you for looking to Hohman Homes for support. As part of our ideals in our mission statement, we aim to support members of our community any way that we can.